At MENA OPPORTUNITIES, we simply love this post. 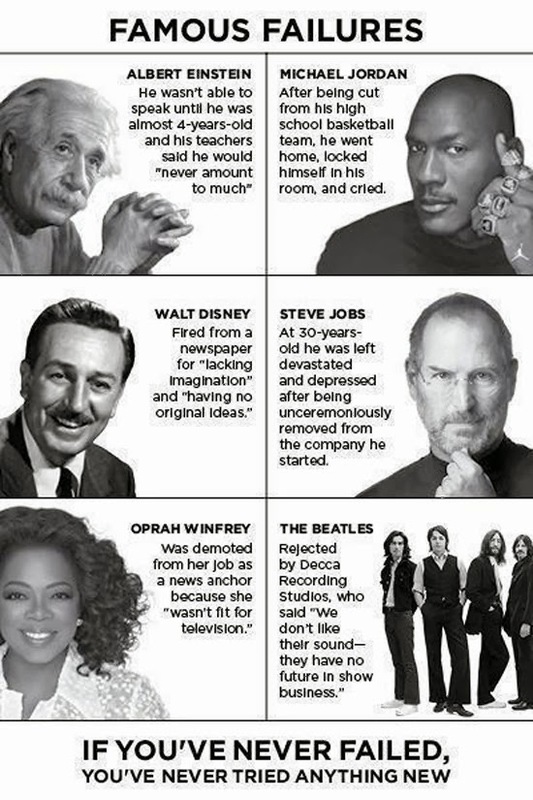 There are so many life lessons to be learned by the "failures" of these legendary success stories. One of these lessons is that failure is an essential part of success. As written below "if you've never failed, you've never tried anything new". One can ALWAYS learn from failure while success is sometimes random. Another great lesson conveyed by this post is "don't let anyone tell you what you can or cannot do" or more importantly "don't let other peoples' judgements affect your own self-confidence". Pass this message on to anybody who feels (rightfully or not) that they have failed. This post will work magic! If Einstein, Jordan, Disney, Jobs, Winfrey and The Beatles can't convince them that failure is a blessing in disguise... then what can?